Vista Cinemas proudly presents a treat like no other. 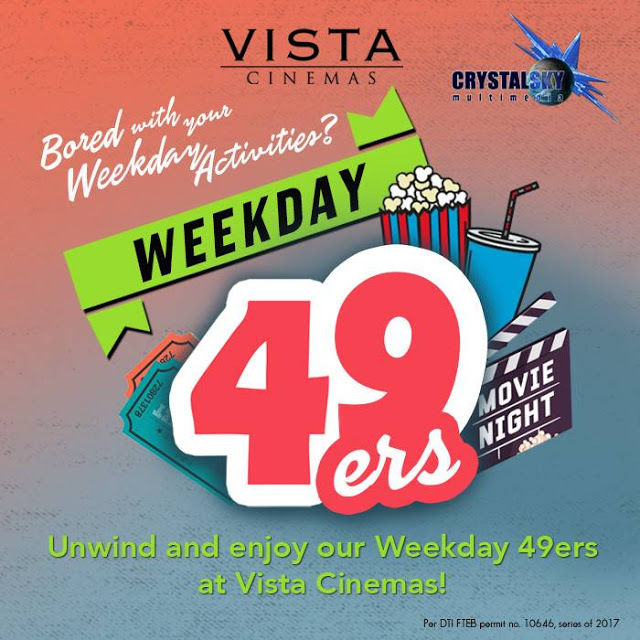 Chase away the weekday blues, unwind, relax and enjoy with #49ersAtVistaCinemas! Treat yourself, a friend, your family, and the rest of the gang to a movie for only 49 pesos! You got that right folks, Vista Cinemas brings joy to all movie lovers, young and old alike, but hurry, this promotion is only from September 20 up to December 20, 2017 only. • This promo is not valid in conjunction with other ongoing promotions, discount privileges or coupons/passes. Vista Cinemas offers one of the best cinema experience by giving movie patrons only the best comfort and unique modern features a cinema can possible offer. Vista Cinemas offers the best luxury seating available from Figueras and Luxos brands which specialises in fixed seats and movable seating systems for public spaces, and is available in select location worldwide. Just a bit of info about the company Figueras - they provided the very first seat for a movie theater, it is completely hand-crafted and made entirely of wood. No worries about getting hungry watching a long movie, Vista Cinemas got you covered with their delightful and flavorful snacks at their spacious Snack Counter. Vista Cinemas are equipped with the modern and the latest audio-surround system courtesy of the Dolby Atmos, wherein the whole cinema is filled with breathtaking sound clarity, rich, full of depth and detail which seems to come from all directions. The sound follows the on-screen action, giving you the feeling that you are a part of the action, creating a movie experience like no other. Vista Cinemas also introduces the newest evolution in 4D cinema technology - the MX4D Motion EFX Theater that features the MX4D Theater Seats, providing a totally immersive environment, where one can actually "feel" the action that is happening on the screen from the built-in motion and effects in the seats and theater around you. Created by US based company MediaMation, the MX4D seats move in sync with the movie action and special EFX Generators in the cinema, allowing you to - yes, "actually feel" the movie's actions like jolts, pokes, your seats seems to roll and tilts because of a fast-paced car chase, feeling the wind blowing around you, feeling the spray of water on your face, even smelling the actual scent of the action.  Now, that's the kind of cinematic experience all movie fanatics will certainly be thrilled to go to. However, the #49ersAtVistaCinema as stated above, is available only in three select cinemas of Vista Cinemas. Hey guys what are you waiting for, grab this promo while it last. While for me, you know where to find during weekdays, at Vista Cinema 4 in Santa Rosa Laguna which is very close to our house.